I have this weird obsession. I’ve told you about it before, but I didn’t come fully clean. Hi y’all. My name is Melissa. Not only am I a foodie, I am also …a dipper. I dip everything. Everything. If there is a sauce, dip or condiment within a country mile, I will find it. And I will shamelessly dip, dunk or douse something in it. I can’t help myself! It is truly an obsession. My favorite condiment is ketchup. Hass calls it poison. I really don’t understand why. It’s just tomatoes. Tomatoes aren’t poisonous. We love tomatoes. I guess he just gets a little freaked out when I put it on steak. I know! A cardinal sin! People don’t freak out over steak sauce, or a great blue cheese on steak, so what’s the difference? I prefer mashed tomatoes. I know. Clearly, I am sick. I need help. People also say you only need condiments and sauces or dips to cover a bad flavor. I completely disagree. Although you certainly can use it to mask bad food, I guess my question is WHY would anyone eat bad food to begin with? Isn’t that just as weird as my ketchup addiction? I think condiments enhance the flavor of food. And that is why I dip. So that brings us to THIS dip. 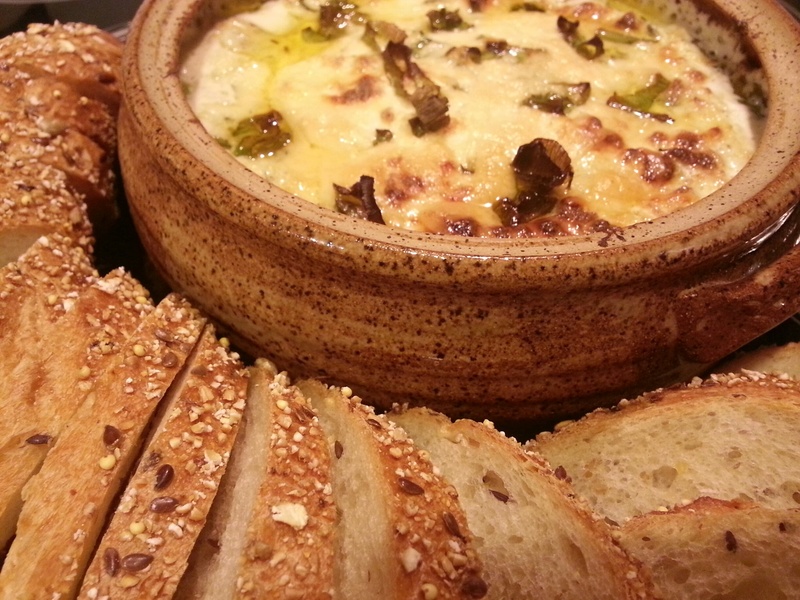 It’s not a condiment, but I can dip warm crusty bread in it all…day…long. It’s one of my top three favorite dips and so far I have eaten it for breakfast, lunch, dinner and an appetizer. 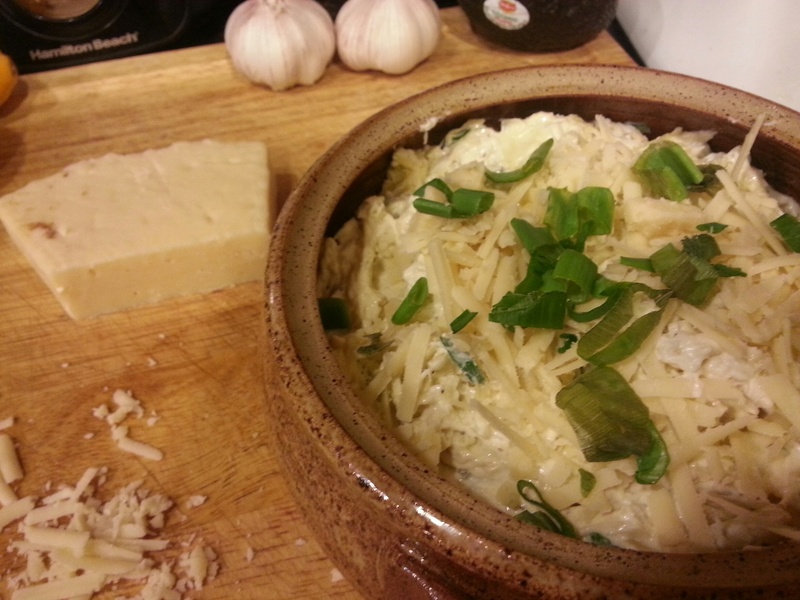 You just can’t beat this ooey, gooey hot mess of fresh jumbo lump crab, artichokes and melty Asiago cheese. BE WARNED! This will transform you into a dipper. I’m not even kidding. You’ll be looking for things to dip in this and it won’t stop there. Before you know what’s even happening, it will become an addiction! An Obsession! Welcome to my world…to the dipping dark side. Blend Greek yogurt cream cheese, mayo, lemon juice, lemon zest and seasonings in a mixing bowl or stand mixer. 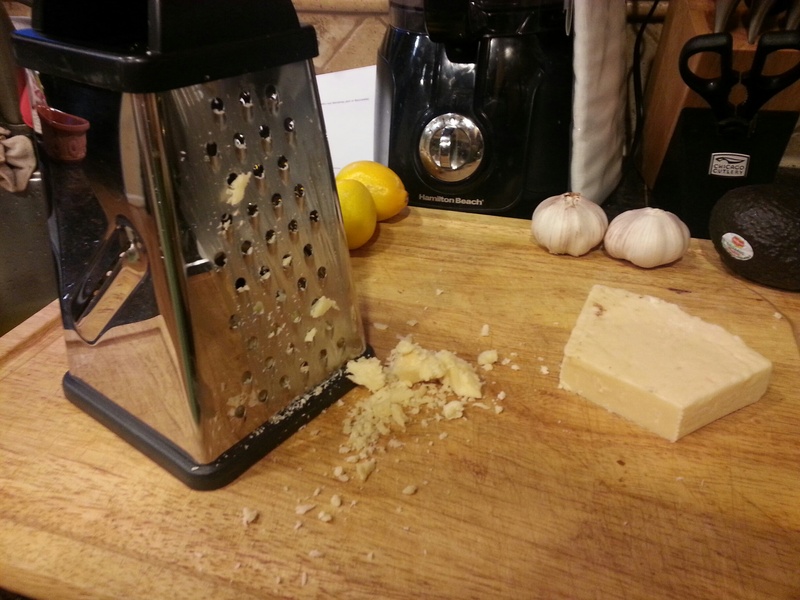 When ingredients are incorporated, add cheese. Next add onions and artichokes and blend lightly. 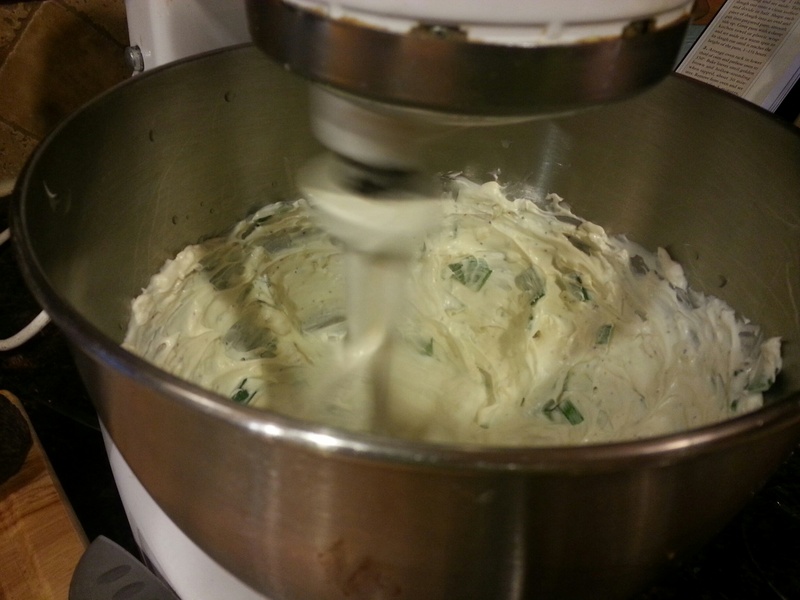 When well mixed, remove mixer from stand and LIGHTLY fold in lump crab. You want the pieces to remain in tact so be gentle. 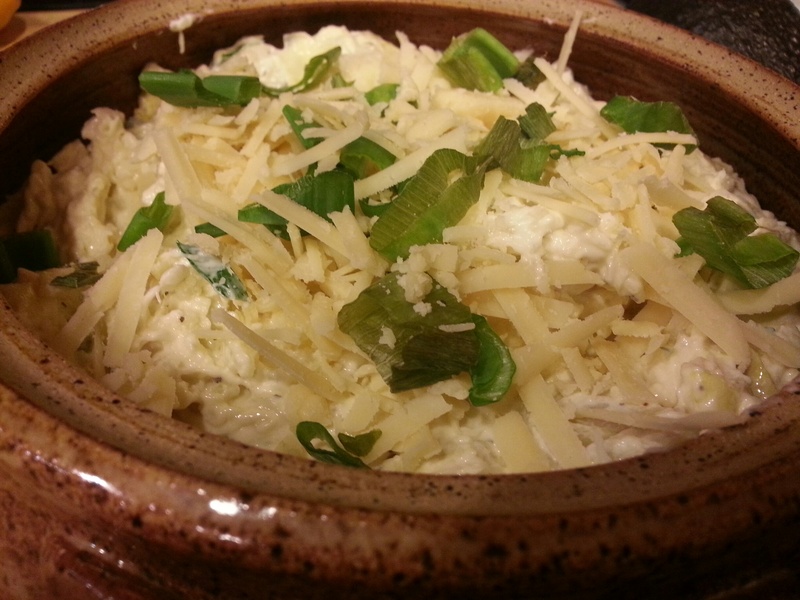 Top with remaining cheese and a few slices of green onion. Bake at 425 degrees for about 20 minutes or until golden brown and bubbly. Serve with toasted crostini and Cowboy Caviar or Black Bean and Corn Salsa. I love dipping. Bon Appetit y’all! This looks super yummy!!!! I love dips and I have to try out this one right away tonight. 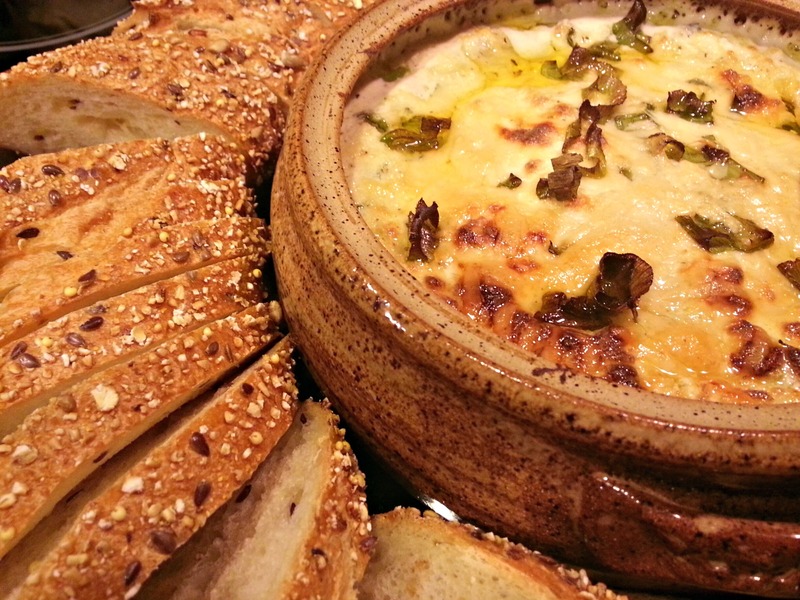 I’ve just baked some fresh bread and this dip would complement it nicely. It’s become one of my favorites and on the list for my go-to appetizers. Fresh bread! I’m jealous!! 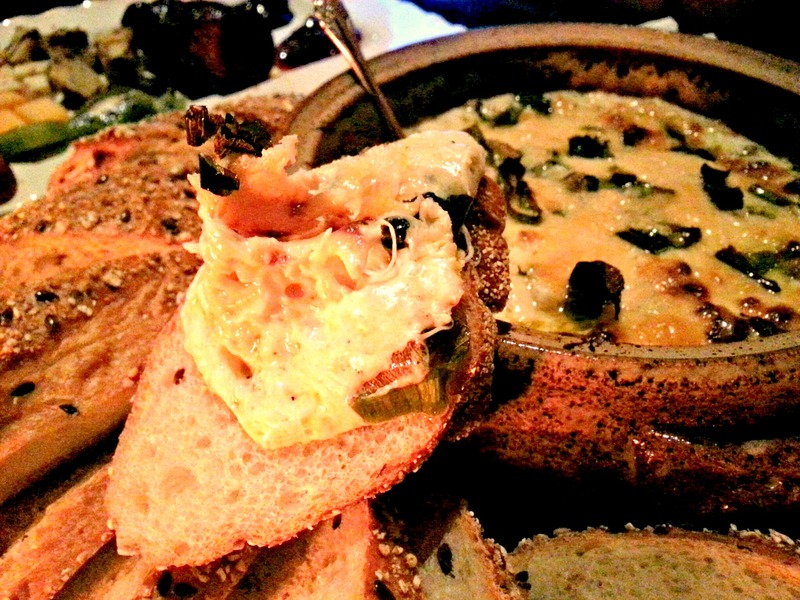 Love cheese dips and this one features my favorite cheese, Asiago. I think I got hooked on that cheese when I had my first Asiago bagel and now I love it in everything. Thanks for sharing on Recipe Roundup. Yum! I do one without the crab that I must post soon – it will be football season soon after all! I love dipping too – it’s the best part of eating! Oh! I can’t wait to try yours!!! I LOVE, LOVE, LOVE and adore new dips AND football foods!